The Fourth Sunday of Easter might be called Good Shepherd Sunday. It always includes Psalm 23 and something from John about the Good Shepherd. 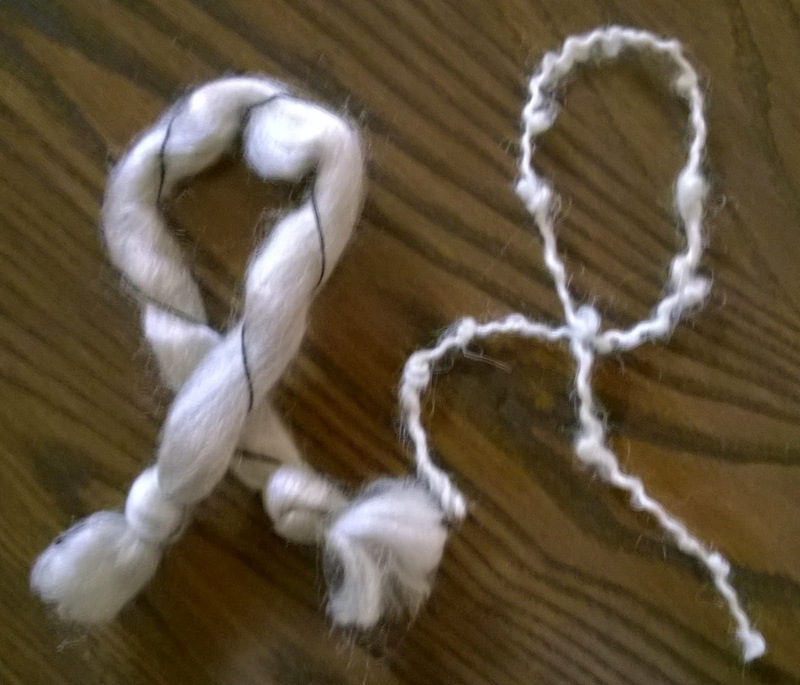 Go to Fourth Sunday of Easter (Year A) and Fourth Sunday of Easter (Year C) for shepherd ideas with slightly different twists. t Before digging into the details, it is important to recognize that the Good Shepherd is a metaphor and children have a hard time with metaphors. Studies show that most children do not develop the brain skill of transference that is necessary to understand metaphors until they are into adolescence. But, the Bible and our worship is filled with metaphors. I suspect that we help the children claim them when we carefully explore the details of a few key ones, expecting them to become familiar with the concrete part of the metaphor and some of the spiritual realities it embodies, but not fully making the connection until later. The Good Shepherd is definitely one of those key metaphors. Maria Montessori reports that while working in a children’s hospital she found that when she told sick children stories about the Good Shepherd using small wooden figures, they almost all grabbed the figure and held onto it “for keeps.” So the Good Shepherd made sense to them in some way. t To take it another step provide children with paper and crayons with which to draw pictures of a good shepherd. Invite them to show you their drawing as they leave or to post it on a prepared door or bulletin board. t Use children’s blocks to lay a foundation for a square building. Start with a misshaped block at the corner letting it lead the walls off square. Ponder the the sides of the foundation. Having looked at the two cornerstones, reread 4:11 to see what Peter is saying about Jesus. 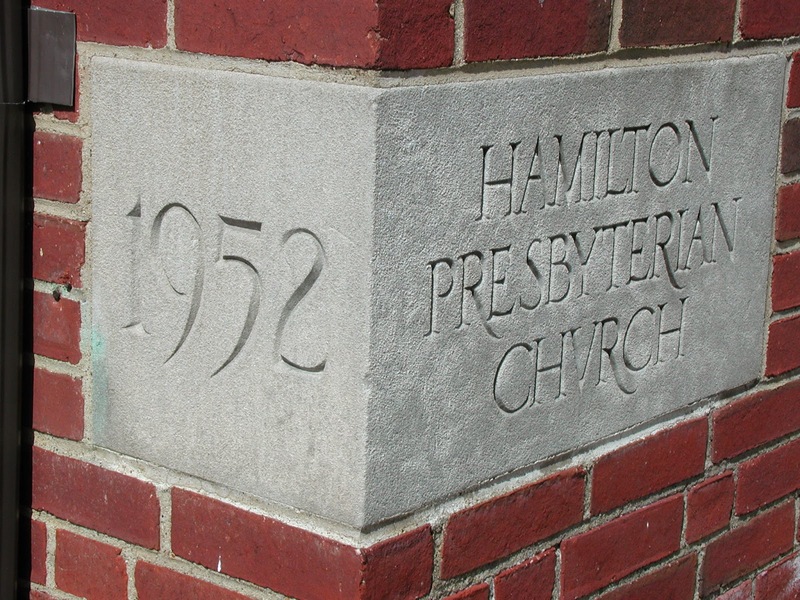 t If you have a cornerstone in your church, display a large picture of it. Tell how it works. If it has a cross or other faith reference on it, point them out and note how they set the direction of the church. t After talking about cornerstones, sing “Christ Is Made the Sure Foundation.” It is filled with language children will not understand, but begins with a reference to Christ the cornerstone. Before singing, point out this reference and put the first verse into your own words. t In 2012 Bonnie directed us to “The Stone,” a song by Jars of Clay. The repeated lines of the chorus are easy for children to pick up especially if you take time to translate “ascribe greatness” to “say how great Jesus is” before singing. All the images for God in the verses are hard for children to catch. Go to The Stone (YouTube). 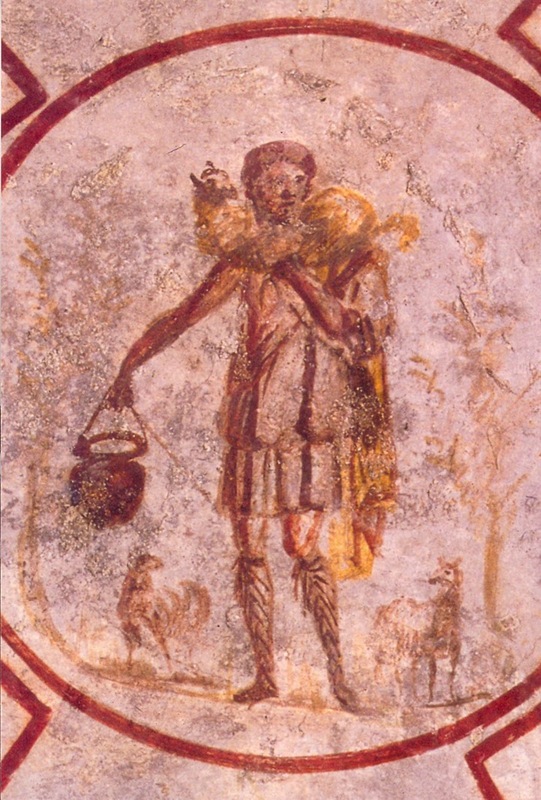 t Display this catacombs painting of Jesus the Good Shepherd which is the first picture we have of Jesus. The catacombs are narrow, twisting underground tunnels. The walls are filled floor to ceiling with graves that have been dug out of them. They are dark and spooky. Imagine walking quietly through them with a small oil lamp to find Christian friends who are gathering to worship by a designated grave. Listen for the clank of soldiers’ armor as you go. Given this it is easy to imagine why someone painted on the ceiling a picture of Jesus as a strong young shepherd who would take care of them. t Read through the psalm one sentence at a time, thinking like a sheep. At the risk of stating the obvious below is a copy of the psalm with sheep references as children understand them. Many church school attending children know a lot about sheep and in a conversational setting can help you with this. Other children may be clueless about sheep and their care. After working through the psalm, point out that we look to God to care of us in the same way a good shepherd takes care of sheep. Note that many people learn this psalm for memory so that they can pray it whenever they need it – in hospital rooms, in scary times, when they are worried. Consider offering a small prize to anyone who can recite the whole psalm to you in the coming weeks. shepherd to lead them to calm or still water. Oil was first aid for cuts and thorns. t Instead of reading the psalm, sing it. The challenge is to choose your version carefully. Vocabulary is critical. Many hymns based on the psalm offer very abstract words that interpret rather than allow worshipers to sing the psalm itself. Children do better with the psalm than with the interpretations. Even there choices must be made. Older adults prefer the King James vocabulary which children simply do not understand. If you sing a King James version, translate some of the key phrases for children before singing it. In general wisdom suggests choosing the version that the congregation knows and loves best. Even if it is not easy for children, they will hear the passion with which it is sung and knowing that this is an important song will work hard to sing or hum along. 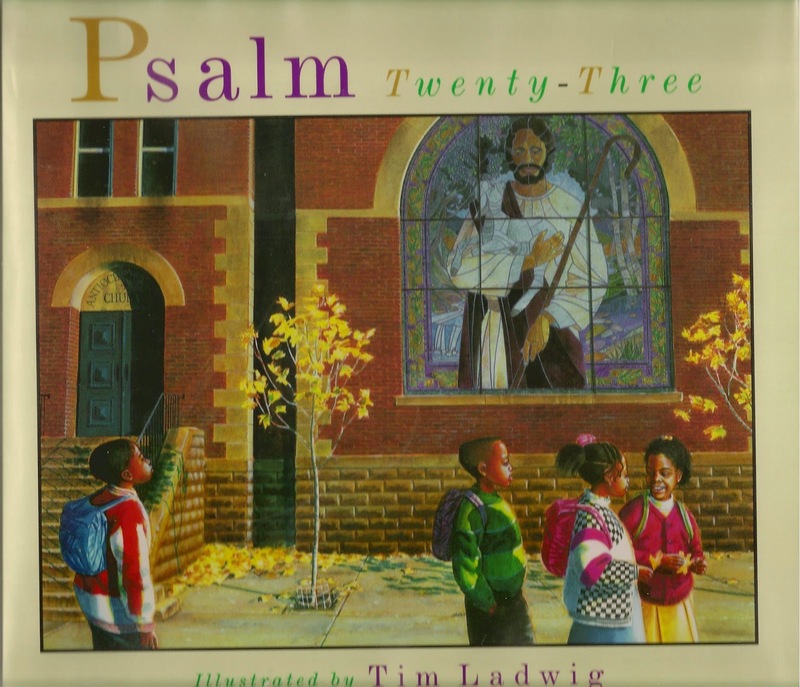 t Psalm Twenty-Three, by Tim Ladwig, simply illustrates phrases of the psalm with scenes from the lives of African American children living in a big city. Project the pages as you read it or use one or two of the pages to explore specific verses of the psalm without having to refer to the care of sheep. NOTE: My understanding is that if you buy a copy of this book to scan for projection and discipline yourself not to lend your scanned pictures to any one (no matter how they beg) for use in other churches, you are not in violation of copyright laws. t To help children pay attention to the verses of Psalm 23, display a different colored sheet of construction paper for each page. The rainbow page is either the multi-colored sheet that comes in some packs of construction paper or a home-made sheet with stripes of all the other colors. You could write the verse on the back of the sheet so that you can read from them as you display them. After reading the whole psalm, go back to the rainbow page to ponder the truth that God is with us, caring for us like a good shepherd. t Last time my lectionary group dealt with Psalm 23, someone pointed out all the dangers lurking around the edges of Psalm 23. One way to explore this psalm would be to list those dangers (will there be enough to eat, will there be enough to drink or might I get swept away trying to drink from water that is too fast for me….). Then read the psalm asking worshipers to listen for who is in the middle with the sheep. Make a second list of dangers that we worry about today (will there be enough to eat, will they like me, will I pass, will there be enemies coming after me….) Finally read the psalm again remembering that God is with us in the middle of all the dangers of our lives. t If you have not used stickers recently, discuss John’s insistence that God wants us to love others. Then, put a heart sticker on the back of each child’s hand reminding each of them that God wants them to love others. Or, pass baskets of the stickers to the pews instructing people to put heart stickers on the backs of each other’s hands saying “God says to love other people.” In either case, point out that today the heart stickers are going on our hands rather than our foreheads or hearts because Jesus calls us to use our hands to love rather than to think about love or feel loving. t Children’s version of 3:17-18: If we have all we need and see another person who has nothing but do not share what we have, we cannot say we love God. Love is not what we feel, but what we do. God wants us to love each other with actions. Children hear this literally which is appropriate. The challenge to us as adults is to speak honestly and early about their responsibility to share with others. Several years ago the local paper ran a series it called the Teen Distinguished Dozen. Each day an article featured the service of one teenager in the community. Every single one of those teens noted that they began serving others during elementary school. We in the church should be helping all elementary school children develop the service mindset. So talk literally about the verses with the kids in front of the adults. Be ready with specific ideas for kids and their families to act. Direct them to sacks printed with grocery lists for the local food bank. Suggest that they make lunch for a Habitat building crew. Send them to Church World Service to learn about the many kinds of disaster response kits needed by Church World Service. 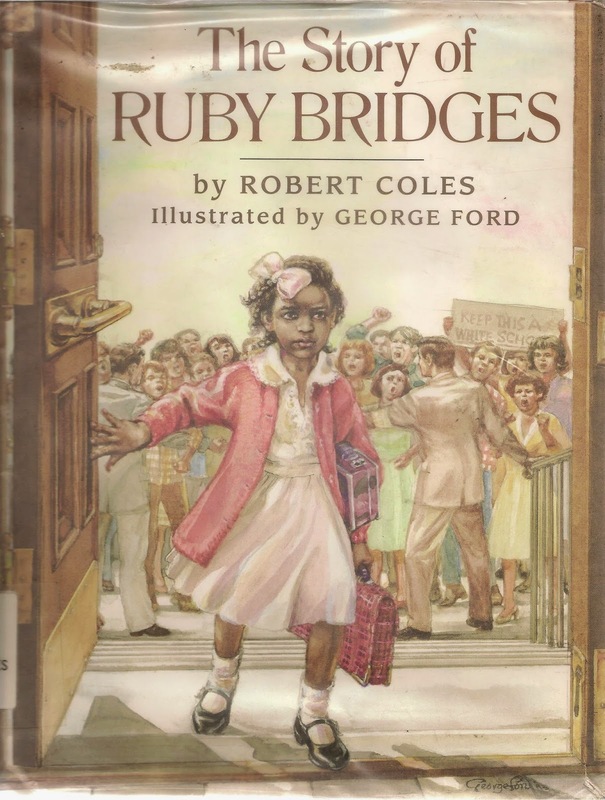 t In her sermon on this text in 2012 Dr. Laura Sugg told the story of Ruby Bridges in her own words. She also pointed out that the woman who taught Ruby was from Boston and was not asked to teach the following year. Ruby’s father lost his job and her grandparents were evicted from the farm where they had lived for 25 years. Laura insisted that each of these people could have felt bad about segregation, could have worried and talked about it, but instead they took big risks to do something about it and in the process loved hundreds of thousands of children who benefited from their loving work. t Use toy sheep, a cardboard pen and a small shepherd figure to demonstrate the shepherd calling the sheep by name as they go out into the field to graze under the care of the shepherd and later return to the sheepfold. Compare the shepherd calling the sheep by name with a parent calling a child in to supper by name or a teacher who knows you by name not just as another kid in the class. Insist that God knows each of us by name. We are not just another kid among the billions of people on earth. t There are many ways to “lay down your life.” Jesus allowed himself to be killed. But we lay down our lives every time we set aside what we want to take care of the needs of others. For example, when you set aside your game or book to play with a younger sibling so your parent has time to do something that needs to be done that is a way of “laying down your life.” Children also need to hear Jesus’ insistence that if he lays down his life he can take it up again. For them it says that giving up what you want once does not mean you will never get it or that you will always be called on to give up what you want. Adults have learned that, but it takes a while for children to learn it. This passage can help them. 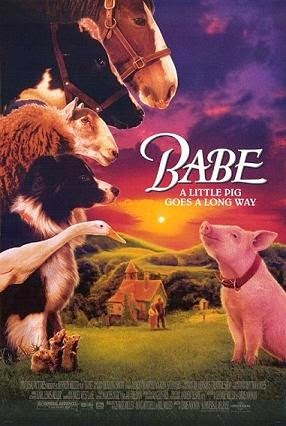 - Just past that are several scenes in which Babe listens to the sheep, learns why they call all dogs “wolves” and why they hate them. He also learns that if you ask sheep politely they will do what you ask. 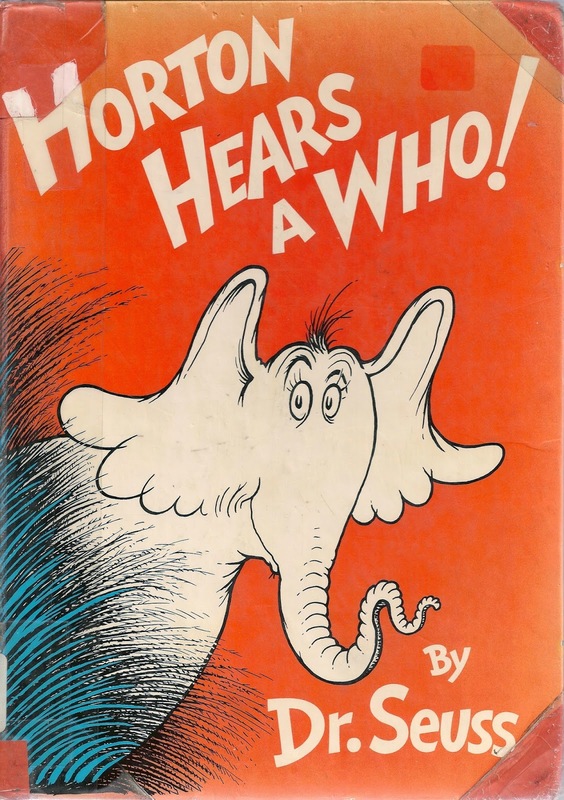 t Read or recall Horton Hears A Who, by Dr. Seuss, in which Horton the elephant acts as a good shepherd to tiny beings he hears calling for help on a dust ball. Other jungle animals cannot hear the whos and try to stop Horton’s efforts to save them, finally caging him. In the end they do hear the whos and all is well. To shorten the tale, leave out the subplot about the whos getting every single who to join the community in making the needed noise.